Many Missing People Now Accounted For In Colorado Flooding : The Two-Way Rescuers have reached some of the remote areas affected by floods, as electricity and phones have been restored. Far fewer people remain on the "missing" list in Colorado as rescuers increasingly reach some of the more remote areas of the 17 counties affected by a devastating flood that has killed at least six people. The Associated Press reports that the number of missing was at 200 on Thursday, down from a high of 1,200. Electricity and phone service has been restored in some areas, helping trim the list. Crews also were trying to clean up a 5,000-gallon oil spill that seeped into the South Platte River near the town of Milliken, the AP says. "Jennifer Hillmann, a spokeswoman for the Larimer County Sheriff's Office north of Boulder, said Wednesday that widespread airlifts have given way to 'pinpoint' rescues and door-to-door searches." Meanwhile, Reuters reports that catastrophe modeling firm Eqecat believes property losses from the flooding in the state will reach $2 billion. 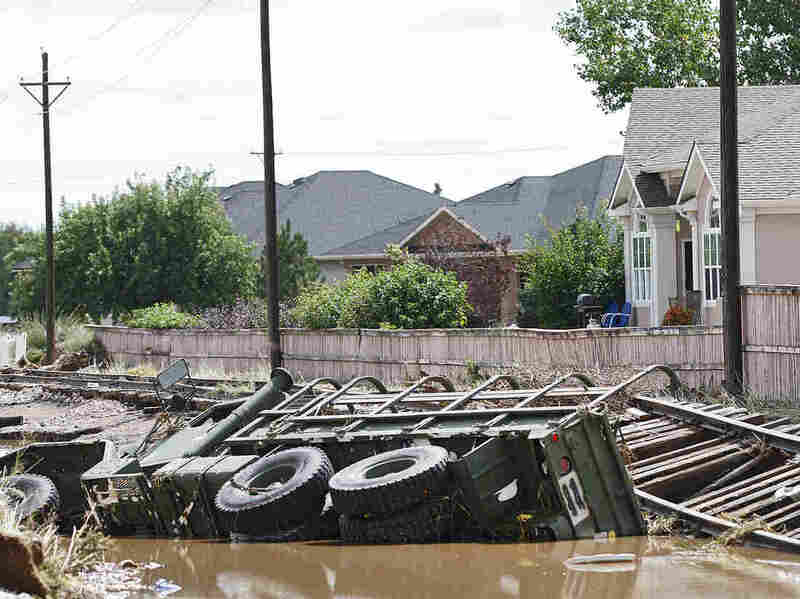 "The projected losses for residential property alone are about $900 million — equivalent to more than $200 for each of the 4 million people who live in Colorado's 17 flood-stricken counties, based on 2012 census data. Most of the overall losses are uninsured, the firm said. "The tally for residential losses includes damaged or destroyed housing, as well as lost furnishings and belongings and costs incurred by displaced residents to live elsewhere until their dwellings are repaired or replaced, Eqecat said. "Another $1 billion is attributed to losses projected for commercial and government property, including roads and bridges, Eqecat senior vice president Tom Larsen told Reuters."